Bring the whole family out and play together all day on President’s Day during the Delray Beach Open by VITACOST.com! USTA Florida invites you to join the fun for our first Kids AND Family Day, powered by Net Generation. Activites for the entire family begin at 9am. At noon, we invite all participants to join our Family Challenge — all abilities, ages and levels are welcome. We have something for EVERYONE! All participants must pre-register for this event in order to hold your tickets and participate. Families who register by February 14st get a special deal on a family four-pack of tickets (two adults and two youth). Individual youth and adult tickets are available anytime through February 17th. 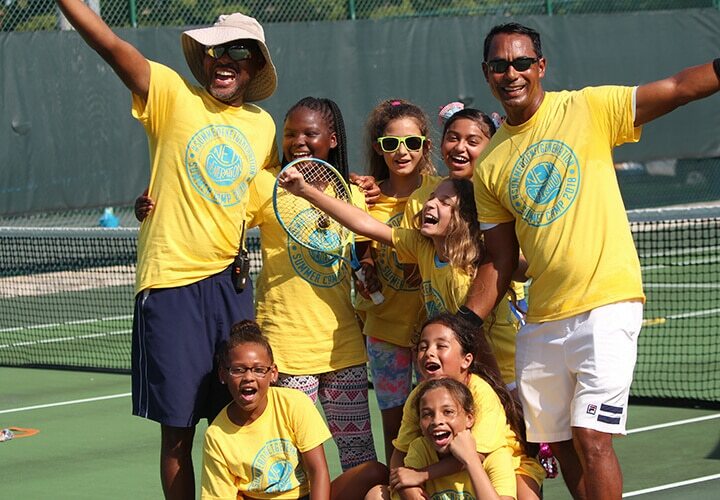 All proceeds from the event go directly to the USTA Florida Section Foundation:Changing Lives through Tennis! SPECIAL OFFER: The first 200 people who register AND check-in at the event will receive a Net Generation t-shirt. Reserve your spot today!